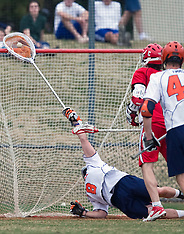 The #1 ranked Virginia Cavaliers defeated the #9 ranked Maryland Terrapins 10-9 in 7 overtime periods in NCAA Lacrosse at Klockner Stadium on the Grounds of the University of Virginia in Charlottesville, VA on March 28, 2009. 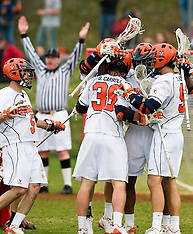 The #1 ranked Virginia Cavaliers defeated the #4 ranked Cornell Big Red 14-10 in NCAA Lacrosse at Klockner Stadium on the Grounds of the University of Virginia in Charlottesville, VA on March 8, 2009. 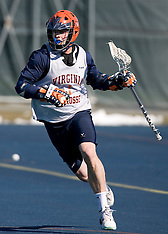 The #2 ranked Virginia Cavaliers defeated the Mount Saint Mary's Mount 10-2 at Klockner Stadium on the Grounds of the University of Virginia in Charlottesville, VA on February 24, 2009. 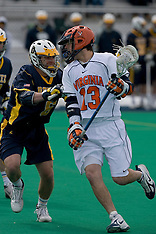 The #2 Virginia Cavaliers defeated the Drexel Dragons 13-7 in Men's NCAA Lacrosse at Klockner Stadium on the Grounds of the University of Virginia in Charlottesville, VA on February 14, 2009. 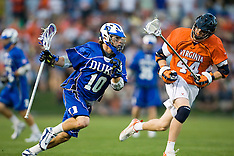 The #2 ranked Duke Blue Devils defeated the #3 ranked Virginia Cavaliers 11-9 in the finals of the 2008 Atlantic Coast Conference's Men's Lacrosse Tournament held at the University of Virginia's Klockner Stadium in Charlottesville, VA on April 27, 2008. 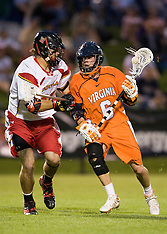 The #3 ranked Virginia Cavaliers defeated the #8 ranked Maryland Terrapins 11-8 in the semifinals of the 2008 Atlantic Coast Conference Men's Lacrosse Tournament held at the University of Virginia's Klockner Stadium in Charlottesville, VA on April 25, 2008. 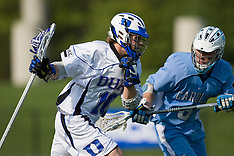 The #2 ranked Duke Blue Devils defeated the #12 ranked North Carolina Tar Heels 17-6 in the semifinals of the 2008 Atlantic Coast Conference Men's Lacrosse Tournament held at the University of Virginia's Klockner Stadium in Charlottesville, VA on April 25, 2008. 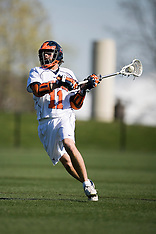 The #2 Duke Blue Devils scored 10 unanswered second half goals to defeat the #3 Virginia Cavaliers 19-9 at the University of Virginia's Klockner Stadium, in front of a stadium record 8,000 fans, in Charlottesville, VA on April 12, 2008. 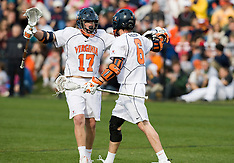 The #2 Virginia Cavaliers defeated the #6 Johns Hopkins Blue Jays 13-12 in overtime in front of a record crowd of 7,579 at the University of Virginia's Klockner Stadium in Charlottesvile, VA on March 22, 2008. 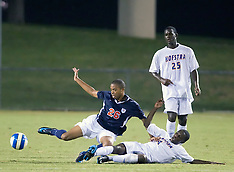 The Cavs improved to 9-0 on the season while the Blue Jays fell to 3-3 on their third consecutive overtime loss. 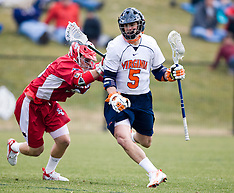 The #3 ranked Virginia Cavaliers defeated the Stony Brook Seawolves 15-13 at the University of Virginia's Klockner Stadium in Charlottesville, VA on February 23, 2008. 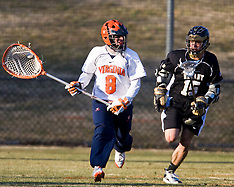 The Virginia Cavaliers faced the Navy Midshipmen in a scrimmage at the University of Virginia's University Hall Turf Field in Charlottesville, VA on February 2, 2008. 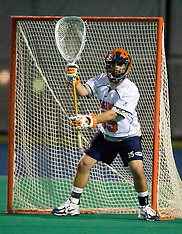 The Virginia Cavaliers men's lacrosse team faced the Georgetown Hoyas in a Fall Ball Scrimmage at UVA's University Hall Turf Field in Charlottesville, VA on October 12, 2007. 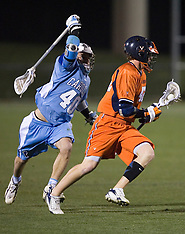 The #3 Virginia Cavaliers defeated the #10 North Carolina Tar Heels 10-9 in overtime at Klockner Stadium in Charlottesville, VA on April 7, 2007. 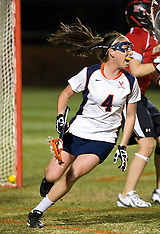 The #3 Virginia Cavaliers defeated the Binghamton Bearcats 10-7 at Klockner Stadium in Charlottesville, VA on April 3, 2007. 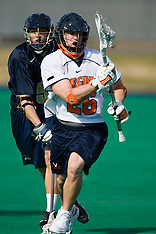 The Virginia Cavaliers defeated Mount St. Mary's 23-6 at Klockner Stadium in Charlottesville, VA on March 13, 2007. 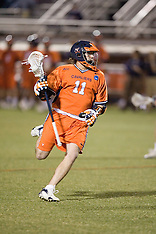 The #1 ranked Virginia Cavaliers were upset at home by Drexel by a score of 11-10 on February 18, 2007 at the University Hall Turf Field in Charlottesville, VA. 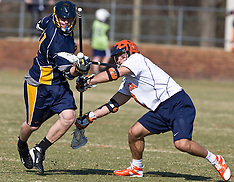 The University of Virginia Men's Lacrosse Team scrimmaged the Georgetown University Hoyas on February 10, 2007 at the University Hall Turf Field in Charlottesville, VA.